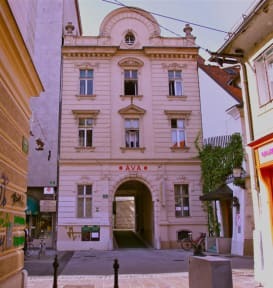 Hostel AVA kohteessa Ljubljana, Slovenia: Varaa nyt! In case group fails to cancel the reservation one week before arrival or does not show up at the hostel, we reserve the right to charge the group with the price of one night for the reserved accommodation via the guests credit card. Thank you for booking our hostel! Please inform us of the time of your arrival. 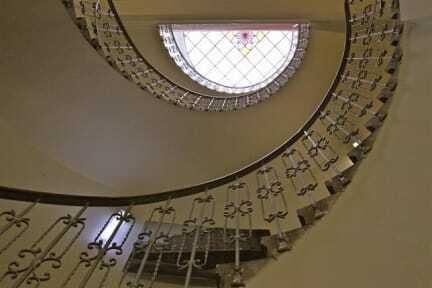 All premises that are available to our guests seethe with creative energy. All rooms are housed in student's studios and drawing rooms, which gives the hostel a unique character. Our friendly staff will warmly welcome you and gladly provide you with the information about our capital and offer you some useful tips on how to spend your time in Ljubljana in the best possible way. Hostel AVA is open all year round. In the period from 1st July to 30th September when the Academy of Visual Arts is closed for summer holidays we can accommodate 69 guests. For the rest of the year we can provide accommodation for 29 guests. At affordable prices we offer private twin rooms and five dorm types - 3 beds, 4 beds, 5 beds, 8 beds and 12 beds. The hostel has a great location and really friendly staff. The beds are pretty uncomfortable, but we didn't mind. Everything was okay! The location is perfect! In the middle of everything. The building itself wasn't very clean and there was hardly any kitchen equipment to use. Staff was very friendly and all our questions and requests were filled. A good place for a one-night stay but not more.